First impression: Excited to get a peek into the making of the movie! The New York Times bestseller by Suzanne Collins is now a major motion picture -- and this is your guide to all of the movie's excitement, both in front of the camera and behind it. I am a late, but HUGE fan of The Hunger Games. I came into the game late. I didn't read the book until it was opening week for the film...but I LOVED it! I adored the movie and eagerly await it's sequel. I was so happy to receive The Hunger Games: Official Illustrated Movie Companion for review. This book is a must for any Hunger Games fan! Loaded with amazing facts, not only about the film but of the history of the books. I was fascinated to learn how Suzanne Collins got the idea for the books and how they came to be. You take for granted how much hard work is actually put into the movie. The amazing team that brought The Hunger Games to life did a spectacular job! All the little details that you don't even think about are brought to light in this book. Each person that had a part in the making of the film really wanted it to be the best it could be for us. From the casting choices all the way down to the furniture and props, they put their hearts and souls into the production. 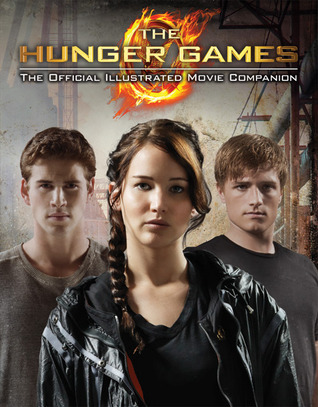 The Hunger Games: Official Illustrated Companion is a must have for your bookshelves! Not only do you learn about the making of, but you get a little peak at who the actors are and you learn a little bit more of who the characters are. Last impression: A vivid look at the making of the film. Fantastic!